Ever since the Facebook Like button was introduced in 2009, users have expressed a desire for a Dislike button, or something more than a single reaction option to a friend’s post. At last, the largest social network in the world is delivering. Though it was rumored that Facebook would be offering a Dislike button, that’s not quite true. They’ve recently announced official live testing on some new Reactions buttons instead. The Like button will still be an option, but users will also have the ability to express other sentiments, specifically Like, Love, HaHa, Yay, Sad, and Angry. These reactions can be accessed by hovering over the Reactions bar on a desktop or by pressing and holding the bar on mobile. The addition of a Dislike button has long been a fan favorite. Users could often scroll through their news feeds and see comments saying only “Dislike” or “I wish there was a dislike button.” But the creators of Facebook decided to use a little more creativity in the creation of their Reactions, which could be for the best. Though the overall reception to the new Reactions buttons has been good, there are some doubters. Naysayers are worried that the new Reactions will be abused, giving way to increased cyber bullying and negative sentiments. This is the same concern expressed over the idea of the Dislike button. However, most people believe that it will actually help to reduce cyber bullying. The Reactions buttons make it possible for Facebook to detect the difference between negative and positive comments. When too many negative Reactions are recorded, Facebook can take decisive action and step in offering users the option to block someone or give warnings to those abusing the icons. There’s also the prediction that it will make Facebook more interactive than before, opening up the door to more discussion and expression. This is great news for businesses that often use Facebook to share ads, content, and relevant information in order to create conversions to their business. Facebook ads are already the best of the best in internet marketing, but the Reactions buttons can give businesses more information about the accuracy and effectiveness of their advertisements. It will create a better user experience for both businesses and followers. Though Facebook has been performing tests and user experience trials on the Reactions buttons for the last six months, they have officially opened for live testing overseas. 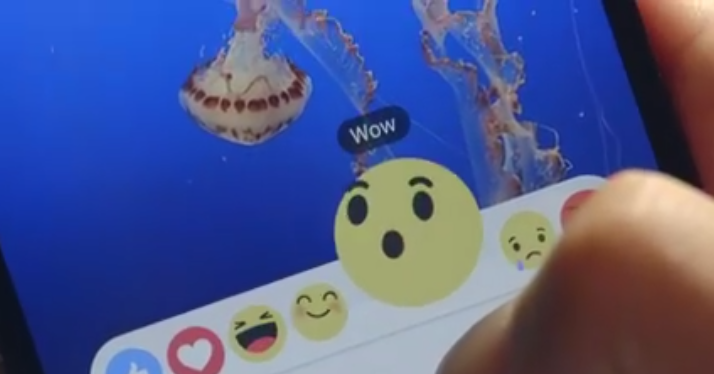 Based on the feedback received so far, it seems like the Facebook Reactions feature is a big win for all involved. The official release date to all countries has not been revealed.